In countries like the Philippines, the yuletide season extends from the beginning of October all the way to January the following year. Quite different from western traditions, don’t you think so? But no matter which part of the world you are, if you believe in Christmas, then you know that this is perhaps one of the most celebrated holidays in the world of Christianity. Well, the way people celebrate this holiday season may vary between each family and individual. This doesn’t mean, though, that we can’t get excited this early for the coming of the most wonderful time of the year! Christmas is really fast approaching when October sets in and November is just around the corner. With Christmas about to knock on our doors, I am fairly certain that there are some of you who are already cooking up plans for the coming holidays. 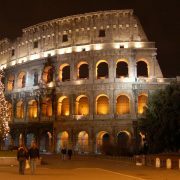 Having said that, there are amazing vacation destinations that you may want to consider for your family. Depending on your budget, there are specific locations that are perfect for a family vacation that you certainly won’t soon forget, whether you and your family are aiming for a tropical or a white Christmas. If you and your family are accustomed to a snowy white Christmas, then it would be perfectly logical to seek a more tropical theme this time around, don’t you agree? Tropical family vacation destinations are quite popular these days, especially among those who are tired of the stereotypical white Christmas that the late Bing Crosby made famous in his hit single of the same name. You can forget about wearing winter clothes, mittens, wooly scarves and bonnets, and go instead for your shades, sunscreen, and snorkeling gear. Tropical destinations that are close to the coastlines are popular among many vacationers who are looking for that beautiful beach ambiance. The world class beaches and resorts in Australia, Florida, Hawaii, and the Caribbean are particularly among the favorites. They offer affordable packages that include first-rate hotels and lodging, fine dining and exotic restaurants, as well as memorable and fun activities that you and your family will definitely enjoy. If you think about it, getting this family vacation package is actually an awesome Christmas present, and one that you all absolutely deserve. On the other side of the isle, people who have been spending a winterless Christmas for the most part of their lives may want to consider a white Christmas themselves. You can book a trip for your family to stay in mountainous vacation spots for the holiday season, where the stimulating aroma of pine trees, the serene view of white capped mountains, and the crackling sound of the fireplace will engulf you in white Christmas bliss. You, your spouse, and the kids can enjoy a day of skiing, snowboarding, and snowmobile riding. And if you want a more intimate holiday experience with your family, you can choose to rent cabins where you can share hot cocoa and slightly burnt marshmallows. It would be nice to be free of all the electronic gadgets, wireless communications devices and entertainment consoles that take up most of our time, don’t you think so? If you are on a tight budget, getting a family vacation for the yuletide season doesn’t have to be an all-out spending spectacle. If you want to experience a white Christmas, you can swap houses, or trade places, with close friends or relatives who want to experience a sunny Christmas of their own. You do not have to spend much to experience a memorable Christmas. The most important thing is that you are spending it with family and friends. That we can all agree on, right? Spending Christmas in France looks like a great idea, no matter if you are planning a romantic getaway or a family vacation. Nicely decorated cities, scenic locations, great wine, delicious cuisine, exciting opportunities for outdoor activities, well preserved traditions, charming Christmas markets and lots of things to do are waiting for you. Here are a few ideas of Christmas vacations in France. Provencal traditions say that Christmas holiday season lasts 40 days. Therefore, you have more than a month to enjoy the festive mood that seizes the whole religion, to stroll through beautiful Christmas markets, hunting for souvenirs, to taste at least some of the 13 traditional Christmas deserts, and to drink some mulled French wine. If you are traveling with kids, they will certainly love the Christmas parades, the folk art workshops and the traditional dances. Some say that it’s better than Paris. Without agreeing or disagreeing, we can say that Lyon is just perfect for a family Christmas vacation. The city lights are almost as exciting as the shows put on in the City of Lights. The Christmas market in Carnot Square will simply seduce you. Open air skating rinks, traditional shows and a much quieter atmosphere is waiting for your in Lyon. Every year the Funny Christmas Festival (Drôles de Noëls) seizes this Southern French town and fills its street with a festive atmosphere. 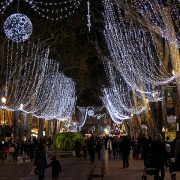 If you want to be a part of these celebrations, Arles is the place where to spend your Christmas vacation. Tens of performances, music shows and other types of events will make the joy of all members of your family. What more would you want from a Christmas vacation? This holiday is dedicated to families and this is what Arles offers. This French region famous for its wine production and wine tasting tours is the perfect choice for all those who want to discover the magic of this holiday and the Alsacian Christmas traditions. In Strasbourg, you can discover the oldest Christmas market in France. If you choose Mullhouse or Colmar, you will also have your share of twinkling lights and carols singing. Last, but not least, the French capital is the heart choice of romantic couples. However, with ice skating rinks scattered throughout the city and special events organized especially for the little ones at Disneyland Resort, you will find lots of things to do in Paris during your Christmas vacation.